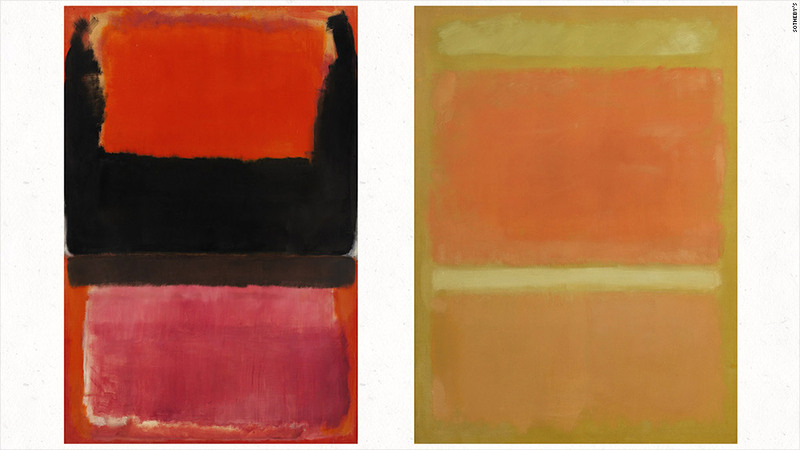 Two paintings by Mark Rothko are up for auction this week. On the left is No. 21. On the right is Untitled. You don't need to be rich to get access to high-end works of art. One of the best kept secrets in the art world is that you can still view the masterpieces up for auction at Sotheby's or Christie's even if you're bank account is negative. While you have to be pre-approved to bid in an auction, Sotheby's (BID) and Christie's have "preview days" ahead of their big events. They function a lot like open houses in the real estate world. Anyone can walk around and browse the artwork and expensive jewelry on display. It's like going to a museum, but better. The crowds are small, there are experts on hand to tell you about the art, and while there are plenty of security guards in the room, no one yells at you for getting too close to the paintings. Big week for art: This week is akin to the Super Bowl of the art world. Sotheby's is auctioning off works from the estate of Mrs. Paul Mellon, one of the great collectors of modern and contemporary art. Think: Mark Rothko, Richard Diebenkorn, Edward Hopper and Georgia O'Keefe, among others. Many of the pieces in the Mellon collection are expected to go for over a million dollars with some going as high as $30 million. Visitors to Sotheby's had full access to the collection all weekend and much of the day Monday. "This week we look forward to the first in a series of important sales from the Estate of Mrs. Paul Mellon," Sotheby's said Monday morning. Jewelry and other items will be on view and up for auction later in November. As if the Mellon works aren't headliner enough, Sotheby's and Christie's are also holding major contemporary art auctions this week. 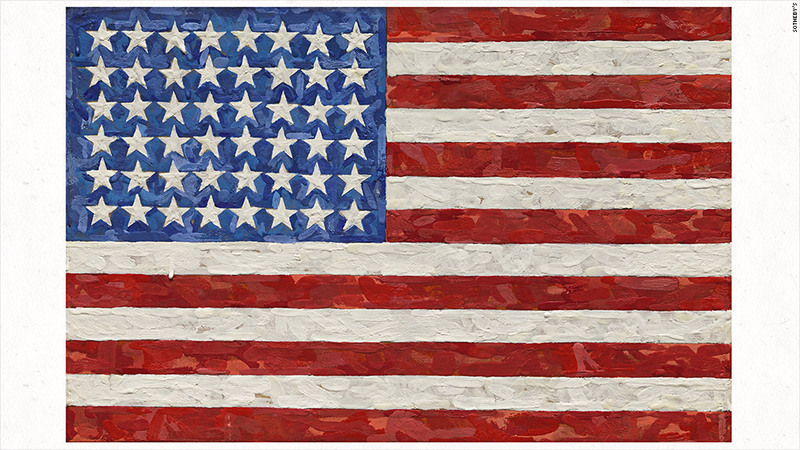 Jasper Johns' famous American flag is expected to go for $20 million and Jeff Koons' Moon for $18 million. Andy Warhol's portrait of Elizabeth Taylor is listed as "price available upon request." Don't have that kind of cash? Try to get to the auction houses to see them before they likely head back into a private collectors' hands. The Jasper Johns painting is listed as "property of a gentlemen." You get the idea. Expert tips: The only trick to going to the previews is to relax and enjoy the art. The auction workers know who the high rollers are and will likely pay the most attention to them, but they are happy to answer questions from anyone. They even encourage tweeting and picture taking. They want buzz. If you go to Sotheby's -- located on Manhattan's Upper East Side -- enter the main doors and then head right to the elevators. The most expensive art is located on penthouse floor. Christie's is located in Rockefeller Plaza in midtown and also has a number of different floors. Much like museums, the auction houses sell catalogs for their major events. Those can go for $50 to $100. But you can often pick up a free guide if you actually go view the art.